Jonathan Chamberlain is new to the Wellbeing Group He is the author of a number of books, both fiction and non-fiction. He has also written on cancer which he became interested in as a result of his wife's battle with the disease 20+ years ago. 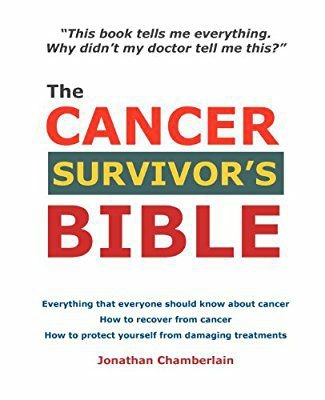 His big book is The Cancer Survivor's Bible, everything everybody should know about cancer (preferably before they are diagnosed!). He has also written The Amazing Cancer Kid about a boy sent home over 10 years ago who had 11 tumours and was expected to die. He is still alive today. Today Jonathan will discuss issues such as a) what is cancer? (you may think you know but do you really?) b) different ways people respond to cancer (if couples respond in different ways this can put a strain on relationships) c) the 4 sensible strategies (we are all different). The key point will be that thinking about this issue of being prepared can save a lot of anguish later.